Poems, Quotes and Short Stories - Navneet Singh Chauhan: Concerned about Facebook Privacy? Follow the simple tips. Concerned about Facebook Privacy? Follow the simple tips. Love Facebook? So you must have concerns about it. Privacy have always remain a concern for Facebook and yeah it is naturally a site where we share most about our-self we naturally get concerns about our privacy. 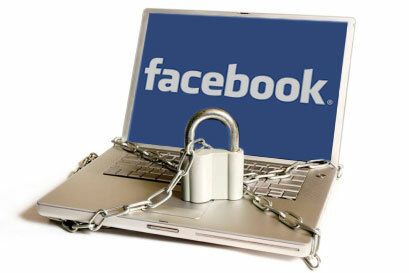 Recently Yahoo News reported that Facebook keeps track record of sites you visit even if you are offline. Though it is yet to be confirmed. Also according to new privacy policies Facebook Partner Websites by default can access your profile data. Here we present some simple tips you might follow if you are concerned about your privacy on Facebook. 1. Regarding Apps and other Websites: Go to Drop down Menu at Top Right - Click on "Privacy Settings" You will find "Apps and Websites" click on Edit Settings under Apps and Websites. Now under "Apps you use" you will find few apps which you have used recently. Again click on "Edit Settings" box this will open a list of websites and apps to which you or according to updated Facebook privacy it's partner websites have access to your profile information. Now Remove all the websites and applications which you don't wish to have access to your profile information by clicking on cross mark which appears next to edit. It will prompt you to remove the application? click on "Remove" to remove it. Do remove apps and games requests and websites which you don't use or don't want to have access to your profile info. 2. Regarding Facebook Tracking your browsing on other websites: Facebook does tracks other websites you visit if they have Facebook integrated in it so that Facebook can offer you valuable services like content sharing and it's superb comment system. Also if we believe Yahoo News reporting that Facebook tracks your browsing data even when you are offline then this tip should work. Latest Version of Browsers viz Google Chrome, Mozilla Firefox, Apple Safari and Internet Explorer have an option "New Incognito Window" in Google Chrome (click on settings followed by New Incognito Window to start private browsing) or "Private Browsing" in Mozilla Firefox (click on Tools, Start Private Browsing) and Apple Safari (click on settings, Private Browsing). Open the Incognito window or start private browsing while you are using Facebook. This will keep your Facebook data away from normal browsing. In Google Chrome a separate window for private browsing is opened so you can enjoy other sites and Facebook privately to keep data of websites separate. This will not allow Facebook to keep track of other websites which you browse until you open other websites in Incognito window. Also your browser will not save any browsing history and other information on your computer. Alternatively you can use another web browser dedicated to Facebook. Like browse other websites in Mozilla Firefox and Facebook on Google Chrome. 3. Old Posts on Facebook: With New Facebook you can change your privacy settings regarding posts or photo's you have posted even after posting it. Want to change all those old posts limited to Friends only all together? Go to Facebook Privacy Settings. 4th option there is "Limit the Audience for Past Posts" Click on "Manage Past Post Visibility" Followed by "Limit Old Posts". This will set all your old posts to "Friends only" except the friends whom you have tagged; their friends will be able to access the stuff. 4. Facebook Disconnect: We have found an Extension on Google Chrome Store called "Facebook Disconnect" (click to see) Which claims disconnecting Facebook on other sites. It works but it itself has privacy concerns because this extension will keep track record of all the data you browse through web. This has been mentioned on chrome store with red at right hand side. We do not recommend you to use such extensions. These can at times become bigger privacy concerns then Facebook itself. Hope these Small tips would have been helpful for you. Let us hear from You and do share with us if you have some more ways to keep your privacy while enjoying life on Facebook.